Howdy, welcome to Texas! As the second largest state in the United States in terms of both area and population, there's a near infinite amount of things to see in Texas, making it the perfect destination for an epic road trip. While there are lots of different Texas road trip routes you could take, our seven day round-trip itinerary covers all the big cities, hitting up Austin, San Antonio, Houston, Dallas and Fort Worth, as well as a detour through the picturesque Hill Country. Before we launch into the trip, a quick word on driving in Texas. The car is king here, so expect to rely on your car in cities as well as to drive between them. Although this may sound annoying, it means that the roads are really clear and easy to navigate, and that there's usually ample inner city parking, making travelling by car a doddle. Other than that everything else is pretty self-explanatory, so just get stuck in to your trip and enjoy! The vibrant city of Austin is the first stop on your Texas road trip, and it's the ideal place to start and end your round trip itinerary. 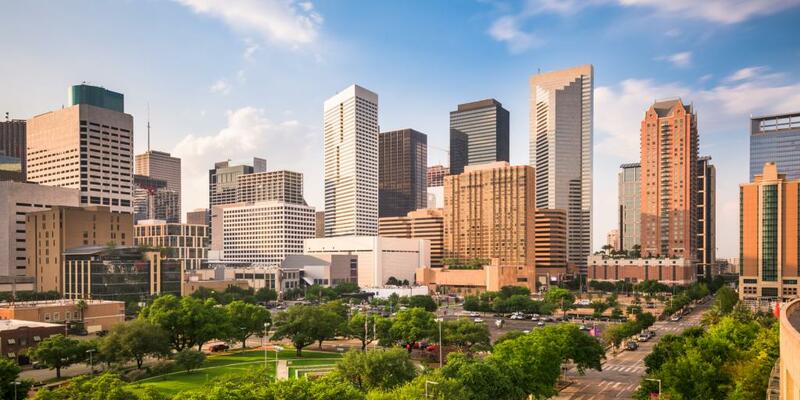 As well as having a large international airport that's well-connected to the rest of the U.S. and London Heathrow, it's an amazing cultural hub to introduce you to the buzzing atmosphere you'll find throughout your Texas itinerary. Aim to land some time in the morning and take today pretty slowly - you'll be back in Austin on day 7, so don't feel pressured to cover everything if you're feeling jet-lagged or worn out from your journey. Travel tip: Pick up your car straight away at the airport - you'll appreciate having it to visit some of today's sights. This magnificent building is the seat of government for the state of Texas, and is a stunning piece of 19th-century architecture that's a true symbol of the Lone Star State. Located on a hill overlooking downtown Austin, its dome pokes through the rooftops and contrasts beautifully with the ultra-modern skyscrapers that surround it. Picturesque grounds also wrap around the building, scattered with statues and monuments shaded by leafy trees and plants. 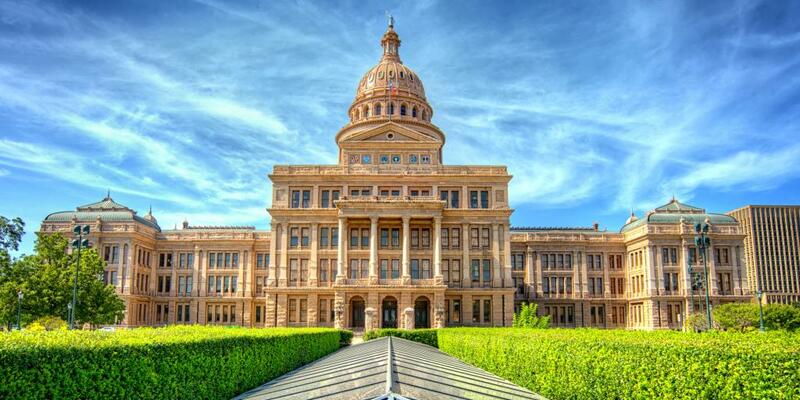 After you've enjoyed the outside, the best way to make the most of the inside is to take a free tour with a knowledgeable guide who'll be able to tell you all about Texan history and legislature, as well as the architecture itself. Tours depart every 30 to 45 minutes from the south foyer and last around 30 minutes, running between 8.30am and 4.30pm Monday to Friday, 9.30am to 3.30pm on Saturdays, and 12.00pm to 3.30pm on Sundays. The second attraction we're sending you to in Austin is very quirky and off-the-beaten-track, which means it's practically guaranteed to be unforgettable. Have a lazy lunch at a cafe or restaurant that takes your fancy (save the BBQ food for later), then head to the Cathedral of Junk - an epic sculpture made entirely of - you guessed it - junk. 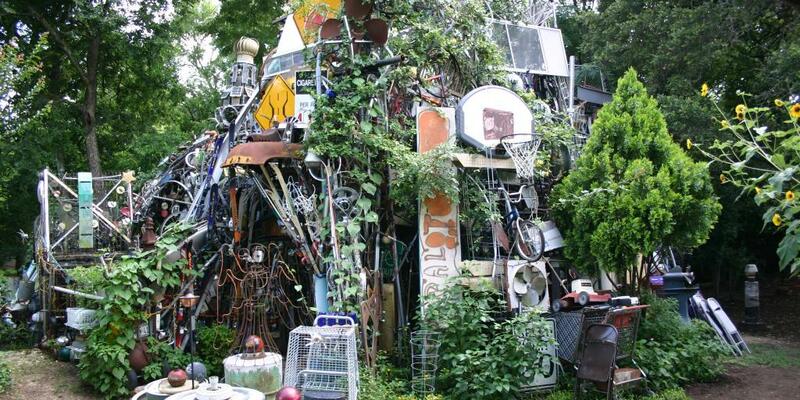 Located in a suburban backyard, this crazy art installation is the work of artist Vince Hannemann, and its cathedral-esque structure is made up of tangles of bicycles, household appliances, toys, CDs, and pretty much anything and everything - you name it, you'll probably be able to find it somewhere in the structure. Make sure you go inside and look up to the spire-shaped roof to get the full cathedral experience, and interpret the artistic message however you see fit. We like to think it's there to make people stop and think about waste and consumerism. You'll find the Cathedral of Junk at 4422 Lareina Drive, and owing to the fact that it's a home on a quiet residential street, it's vital you call ahead and make an appointment if you want to drop by. Call (512) 299-7413 to arrange a time. The experience is free to enjoy, however there's a suggested donation of $10 per group to support its upkeep and continuous construction. The easiest way to get there (and then to the pool afterwards) is to hop in your hire car and drive. Bear in mind, however, that you won't be able to park on Lareina Drive, so pay attention to parking signs and find a spot on a nearby side street. Alternatively you could have lunch at nearby Casa Maria before your visit - there's ample parking there and the Tex-Mex is great! The Barton Springs Municipal Pool is around 20 minutes north of the Cathedral of Junk, so it should be easy to get there with enough time for a swim before it gets dark. If you're travelling in the colder months don't be put off from taking a dip as this three-acre natural pool is fed by underground springs, meaning the water stays at a toasty 20ºC (68ºF) all year round. Plus, temperatures in Austin tend to be pretty mild throughout the year anyway, so there's really nothing stopping you. As well as being a lovely place for a swim and a sunbathe, the water is home to the endangered Barton Springs Salamander, so it's a pretty important feature of Austin's landscape. For this reason, the pool is closed every Thursday from 9am to 7pm to clean and maintain the water, so ideally day 1 of your trip should fall on a different day so you don't miss out. Admission to the pool costs $9 for adults, and note that lifeguards are only on duty some of the time, so make sure you take care when in the water and keep an eye on any children you're travelling with. Make it back to your hotel with enough time to freshen up and head back out to the Ann W. Richards Congress Avenue Bridge before the sun sets - trust us, you won't want to be late. 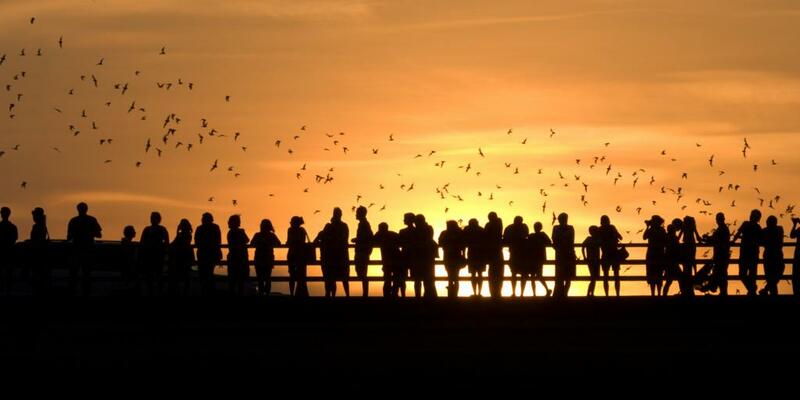 This unassuming bridge over the Colorado River comes alive at sunset between March and October, when hundreds of bats fly out from underneath the bridge and are beautifully silhouetted against the orange glow of the sky. Following the 1980 redesign of the bridge, the structure includes lots of perfectly bat-sized crevices where the animals live and give birth to their pups. If you're travelling in August, you'll get to see the pups emerge for the first time too, virtually doubling the cloud of bats flying against the pastel-hued sky. The walkway on the east side of the bridge has the best view, but if you want to sit down it's also possible to spread out a blanket on the riverbank below. If you choose the latter, however, beware that you're more likely to get hit by bat poo! And even if you're visiting outside of bat season, it's still worth heading to the bridge for the sunset view before you go for dinner. It would be wrong not to kick off your Texas food adventure with some classic BBQ goods, so stroll north from the bridge to Black's Barbecue to work up an appetite. This family-owned BBQ joint is currently run by the third generation of the Black family, and all the meat is still smoked using traditional methods developed by the very first generation. Using a simple rub, oak wood, and a whole lot of patience, this restaurant cooks up some of the finest cuts of meat in town. Classic brisket, ribs, and turkey are all on the menu, along with sides including beans, potato salad, and mac and cheese. The sides, however, are the only veggie options on the menu, so definitely opt for somewhere else if you're travelling with any vegetarians. Those that do eat here, expect to leave very full, very happy, and very ready to retire to bed. The aim of day 2 is to get from Austin to San Antonio, and we're taking you on a detour through the Hill Country to make the most of the stunning Texan landscapes - there's more to it than big cities! This beautiful area of rolling hills, glittering streams and tall oak trees is just a stone's throw from both Austin and San Antonio, and it's a great area for some scenic driving and cowboy culture. 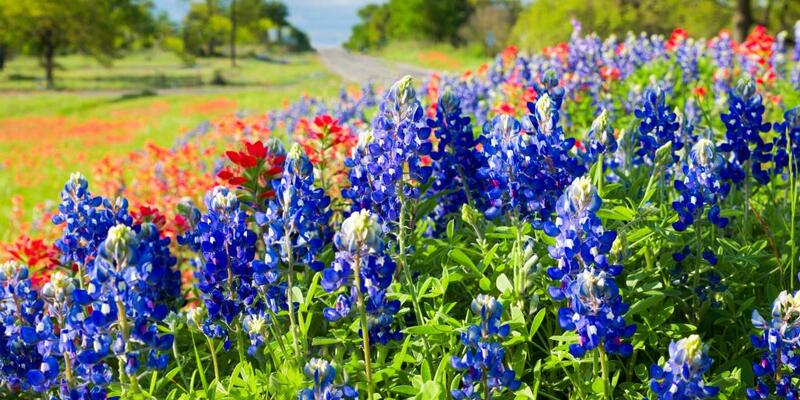 Travel tip: If you're travelling in spring, look out for the colourful bluebonnet flowers that pop up all over the Hill Country. Peak season is from March to mid-April. 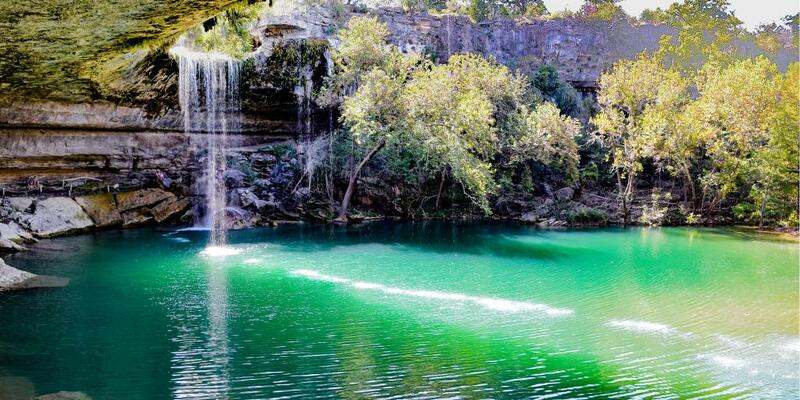 We're sticking with the swimming theme for your first stop by sending you to Hamilton Pool. This nature reserve features a 50-foot waterfall plunging into a beautiful natural blue pool, fringed by rugged rocks and trees; and yes, it's absolutely as idyllic as it sounds. Unlike Barton Springs Pool, the water here is pretty cold so you'll probably only want to swim if you're visiting in summer. However it's still a really pretty place to stop off on your way through the Hill Country. 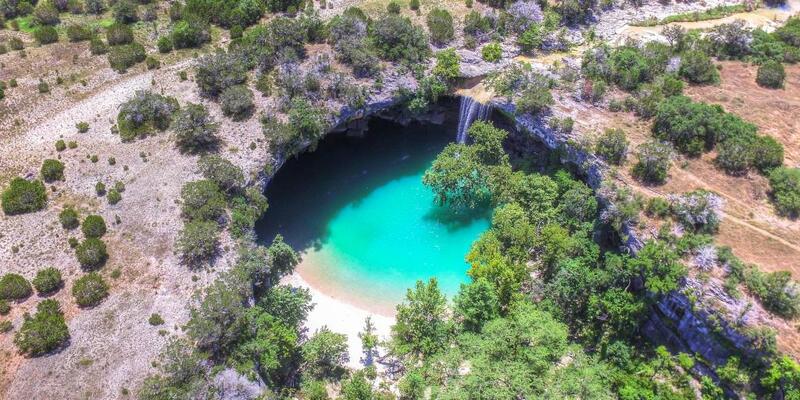 There are a couple of things to note when visiting Hamilton Pool Preserve, the first being that you have to reserve and pay for a time to go before you arrive. Although this may sound fussy, it does mean that it never gets too crowded, which is good for both you and the preservation of the stunning natural environment. There's two sessions - one in the morning and one in the afternoon - and entry costs $11 per person, with an additional $15 charged per vehicle on arrival. It's also important to note that swimming isn't always allowed. This is because excessive rainfall or a change in the levels of bacteria present in the water can make it unsafe, so make sure you check online before you arrive. One final thing to be aware of is that the pool is around a half an hour hike from the car park and includes some uneven surfaces and steps, so do come prepared with comfortable shoes, and consider opting out if you have mobility issues. With the technicalities out the way, just enjoy this stunning area for an hour or two, exploring the pool's surroundings, relaxing in the sun, and going for a dip (if you're brave enough). 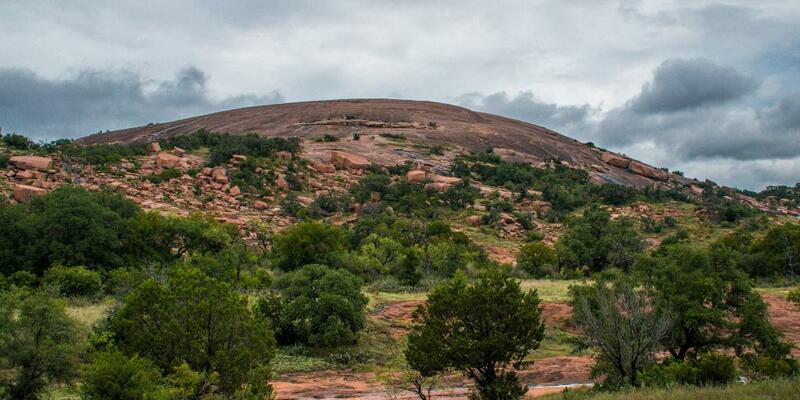 Travel tip: If the weather's not great, the pool's all booked up, or you just don't fancy going to the pool, you could always drive a little further and visit the Enchanted Rock instead. This pink granite mound rises above the green plains of the Hill Country and is a lovely place for a walk and a breath of fresh air - just remember to wrap up warm if you decide to climb to the top, as it can get pretty chilly! Your next stop in the Hill Country is Bandera, which is roughly 105 miles from the pool. It'll probably take you the best part of two hours to get there, so if you're feeling peckish you might want to stop off for lunch or pick up some snacks in Fredericksburg on the way. Hopefully you'll arrive in Bandera in the early/ mid afternoon, giving you plenty of time to experience it's rustic Texan charm. 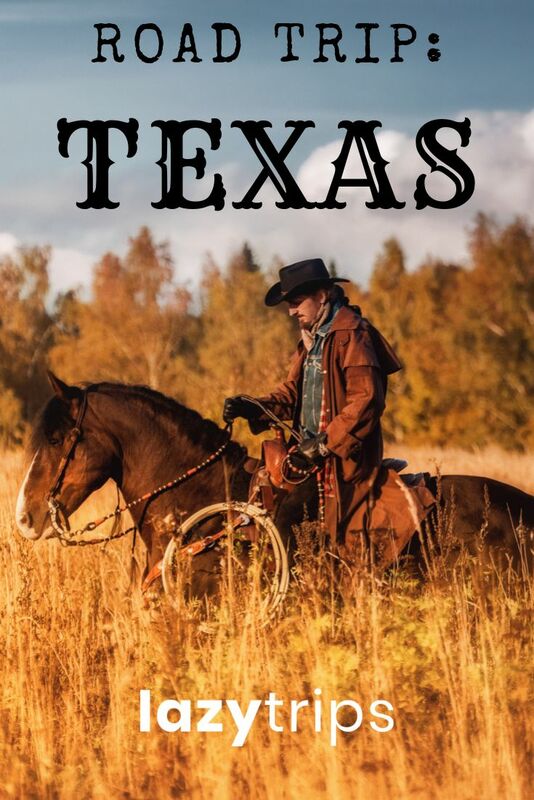 As the self-proclaimed 'Cowboy Capital of Texas', this is the place to go if you're looking for real life cowboys, dude ranches, rodeos, and honky-tonk clubs. This town is true to its roots, embracing traditional southern U.S. culture without being bombarded by franchised restaurants and shops, so a visit here is a must if you want to get a feel for the genuine cowboy way of life. There aren't many specific sights to see here, so just spend some time walking around and getting a feel for the quintessentially Texan culture. Walking down the Main Street is a great place to start, as it's lined with lots of bustling shops, bars, and restaurants. 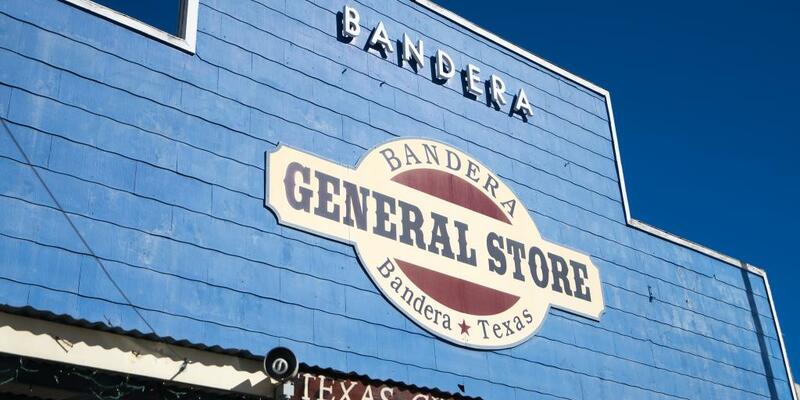 One shop you should definitely peek into is Bandera General Store, a shop selling everything from cowboy boots and hats to gifts, BBQ sauces and ice cream. The store even has one of only 11 original soda fountains left in the whole of Texas, so if you're in need of an old-school thirst-quencher after your drive, this is the place to go. 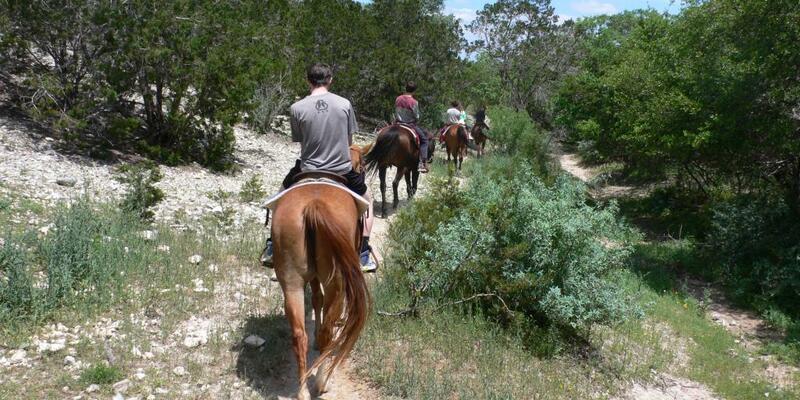 Kit yourself out with cowboy attire, hop back in the car and drive 15 minutes down the road to Silver Spur Ranch to go horseback riding. This historic ranch is the ideal place to embrace the last of the Hill Country before you head to San Antonio. The ranch offers one -hour rides for $45 or two-hour rides for $80 (plus a $5 parking fee), so don your blue jeans, saddle up, and prepare to release your inner cowboy (or girl). 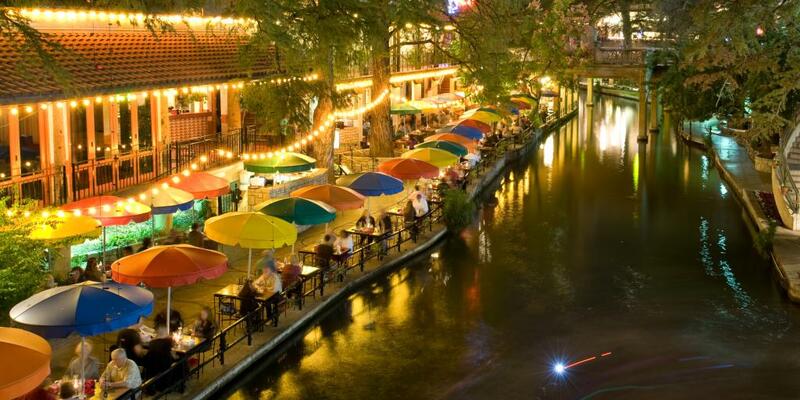 By the time you've arrived in San Antonio and checked into your hotel it will probably be the evening, so make your way to the Riverwalk for a relaxing dinner to top off the day. 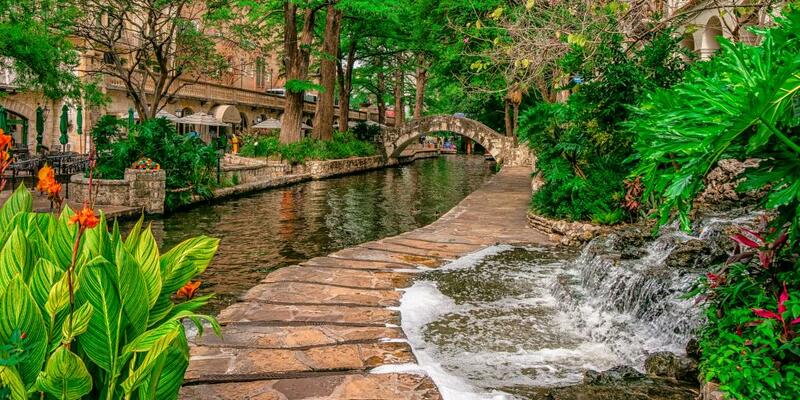 This charming portion of the city is made up of walkways that run along the San Antonio River, and is lined with loads of amazing bars and restaurants. The Riverwalk comes alive with glittering lights at night, so pick a restaurant with tables overlooking the water so you can soak up the atmosphere. You'll be back on day 3 to explore properly, so don't feel guilty about prioritising food this evening. We've got two restaurant suggestions to give you some inspiration... just avoid Tex-Mex as you'll be feasting on that tomorrow. Boudro's - Texas bistro Boudro's is a popular spot on the Riverwalk, and serves up hearty seafood and speciality meat dishes as well as soups, salads, and mouth-watering appetisers. Be sure to order their legendary tableside guacamole which they prepare as you watch - you can't get much fresher than this! Ocho - Situated in a glass conservatory overlooking the river, Ocho wins top marks for location and delicious food. Dishes here draw on both Latin and Texan influences, so expect some really interesting flavour combinations and heaps of old-world charm. They also sell some of the best Margaritas in San Antonio in downstairs Havana Bar, so definitely check that out after your meal. Stick around for a drink and a stroll along the Riverwalk, then head back to your hotel and call it a night - it's been a long day! Kick off day 3 with a morning stroll along the Riverwalk. While by night the walk was buzzing with bars and eateries, by day it's a lovely relaxed place for a stroll, with lots of lush foliage and pretty buildings fringing the water. Have an early morning wander, grab a quick coffee, then head to the Alamo for the rest of the morning. Officially called the Alamo Mission (or the Misión de Álamo in Spanish), the building dates back to the 18th century and was one of the early Spanish missions in Texas to educate the American Indians on becoming Christian. It later became a fortress and was famously the site of the Battle of the Alamo against the Mexican Army in 1836. It's essentially a monument that sums up Texan heritage and the bravery of the heroes who refused to surrender during the battle. Today it's a really interesting historical site to visit, with a beautiful church, a Long Barrack housing an informative exhibition on the site's history, and lovely grounds with a fountain, courtyard and loads of green space to enjoy. Entry to the Alamo is free, however it relies on donations, so dropping a few dollars into one of the collection pots is encouraged. You'll have worked up an appetite after your morning of sightseeing, so make your way to the Historic Market Square for some lunch and a browse; it's around a 20-minute walk west of the Alamo (or a few minutes in the car). 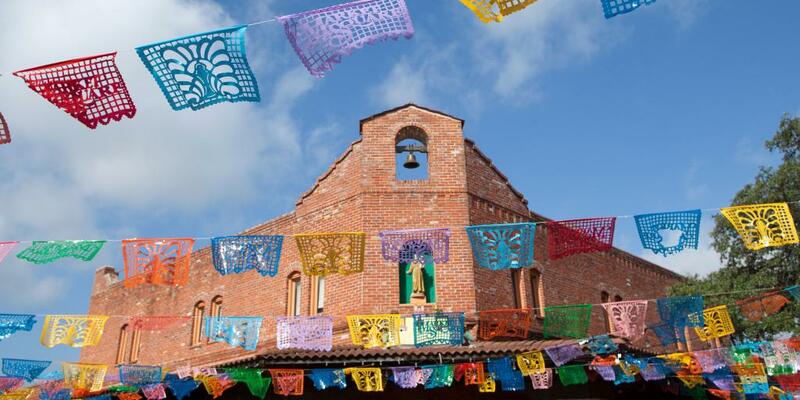 One of the largest Mexican markets outside of Mexico, this lively outdoor plaza is home to over 100 locally-owned stalls and shops selling traditional Talavera pottery, colourful clothing, and handcrafted gifts. You'll also find traditional music and performances in the market, transporting you straight to Mexico City. Before you have a proper browse of the stalls, turn your attention to the food on offer and grab some lunch - the market celebrates the best of San Antonio's incredible Tex-Mex scene. Grab some tacos and craft beer from Viva Villa Taqueria followed by a sweet treat from Mi Tierra Cafe and Bakery, then spend some time looking around, soaking up the atmosphere and buying a few souvenirs. You've explored Spanish culture at the Alamo and experienced Mexican traditions at the Historic Market Square, now it's time for some Japanese heritage at the Japanese Tea Garden. 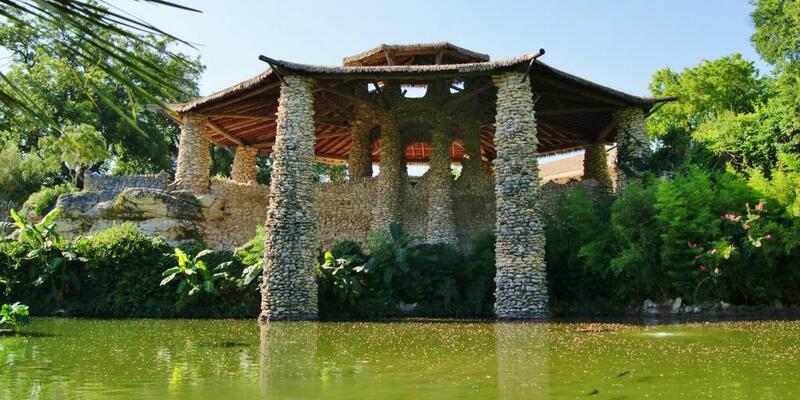 Located in Brackenridge Park towards the north of the city (you'll probably want to drive), this serene garden brings an unexpected slice of Japan to Texas and is a really beautiful yet underrated attraction to visit. The garden was originally a rock quarry before being converted into the Japanese Tea Garden in 1917, with walkways, stone bridges, and a traditional pagoda all filling the space. After extensive restoration between 2005 and 2011, the garden is now home to exotic plants, Japanese Koi fish, and the historic Jinju house. Take your time enjoying the garden, making sure to check out the stone Pavilion, lily ponds, and waterfall before popping into Jingu House Cafe for a cup of tea to rest your legs; we'd recommend you spend an hour or two making the most of this serene oasis in the heart of the city. 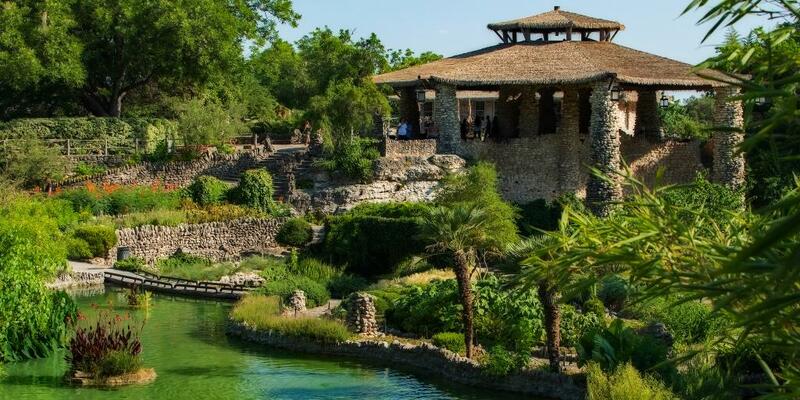 If you've had enough of the garden and still have some time to spare before evening falls, Brackenridge Park is also home to San Antonio Zoo, a golf course and a botanical garden, so there's plenty more to occupy your time. Switch back to Texan culture for the evening and grab some dinner before heading to the Pearl District for a drink. This neighbourhood, built from the repurposed Pearl Brewery, is quickly becoming one of the city's trendiest areas. Either honour the district's past and opt for a pint of one of Southerleigh Brewery's unique craft beers (look out for the quirky names, including 'Texas Uncommon Ale' and 'Koalas, Cocker Spaniels and Unicorns'), or head to Jazz Tx for a classy cocktail and live music. Whichever you choose, both sum up this neighbourhood perfectly and are a great way to round off your San Antonio itinerary before you move on to Houston in the morning. 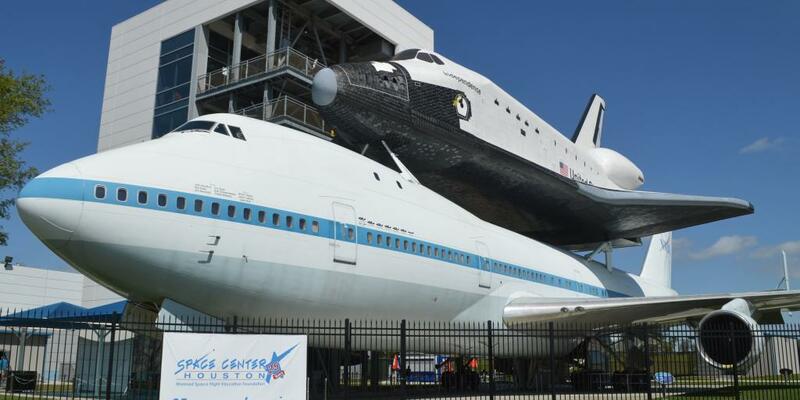 The drive to Houston from San Antonio takes around three hours and 45 minutes, so you'll want to hit the road as soon as possible after breakfast to arrive at Space Center Houston in the late morning. World renowned for being the home of NASA Mission Control, it would be wrong not to visit the Space Center on your Houston stop off. Book tickets well in advance to avoid the queues and get stuck in. 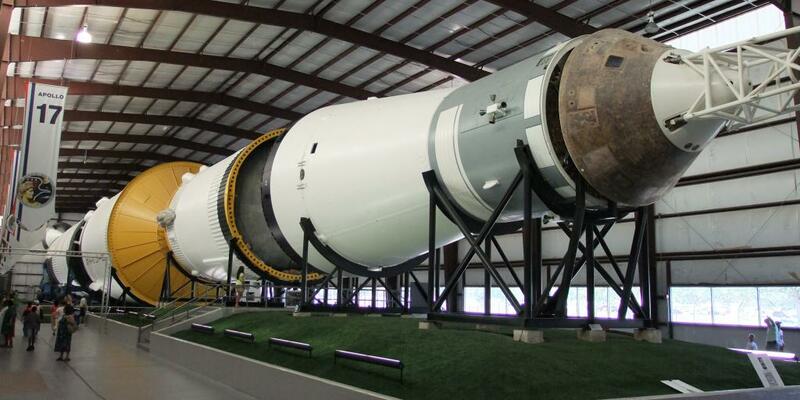 This fun and informative centre focuses on teaching its visitors all about space travel, with over 400 space artefacts, loads of exciting exhibitions and interactive displays, and actual flown spacecraft and replicas to explore. As you can probably tell there's a lot to see here, which could easily cover the rest of the day, so if you're not too fussed about looking around Houston itself feel free to dedicate this leg of the journey exclusively to all things space. If you'd rather keep some of your afternoon free, we'd advise spending around three hours here and prioritising the areas of the centre you'd like to see most. NASA Tram Tour - A trip on the centre's tram will take you on a tour of the NASA Johnson Space Center (JSC) for a behind-the-scenes look at space exploration. Features include a tour of the astronaut training facility, a look around the historic Mission Operations Control Room (from which NASA led the iconic first lunar landing) and a trip to Rocket Park. International Space Station Gallery - This interactive gallery offers an insight into the technologies and role of the International Space Station (ISS) and what it's like to live in space, as well as presenting artefacts that have been worn or used during real ISS missions. Starship Gallery - This area of the Space Center is home to multiple flown spacecraft including Apollo 17 (which made the last Apollo mission to the moon), and Gemini V (which took two astronauts to the moon during the Cold War). Here you'll also be able to touch a piece of genuine moonstone - pretty cool if you ask us. Independence Plaza - This is definitely one of the centre's highlights. In the Independence Plaza you'll have the opportunity to enter the shuttle replica Independence, which is mounted on top of the original NASA 905 shuttle carrier aircraft. This is a once in a lifetime opportunity to experience being on a shuttle, so definitely make sure you squeeze this attraction in. Mission Mars - This interactive exhibition gives you a feel for what it's like to travel to Mars. Experience a virtual Martian sunset, touch a Mars rock, and look inside a full-size Orion capsule to understand the colossal journey astronauts will have to make to this intriguing planet. 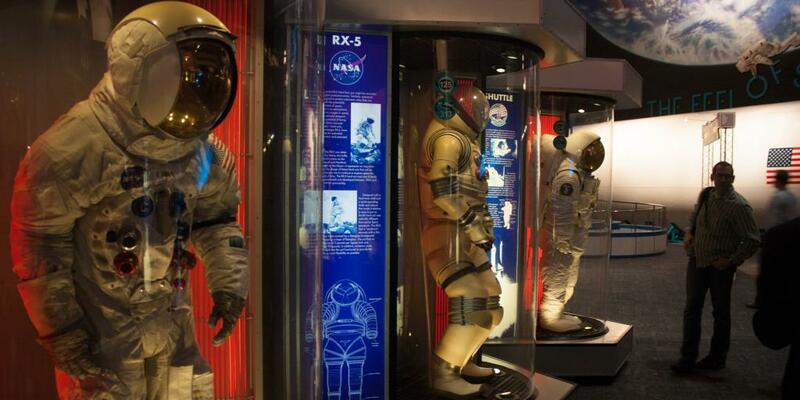 Astronaut Gallery - Home to one of the largest collections of spacesuits in the world, this gallery has examples on display used for everything from training drills to actual moon walks. The main suits to look out for are definitely those worn by the first two American women to go into space; they symbolise some pretty iconic moments in the history of space travel. Tickets cost $29.95 and include admission to all of the above exhibitions. If you've finished at the Space Center with some time to spare, drive into Houston and spend some time getting to know the city. This buzzing metropolis is the most populous city in Texas, home to world-class restaurants, captivating art, an incredible shopping scene and a lively nightlife. You'll probably be quite museumed-out after your epic visit to the Space Center, so we'd suggest just spending some time walking around the city at a leisurely pace. 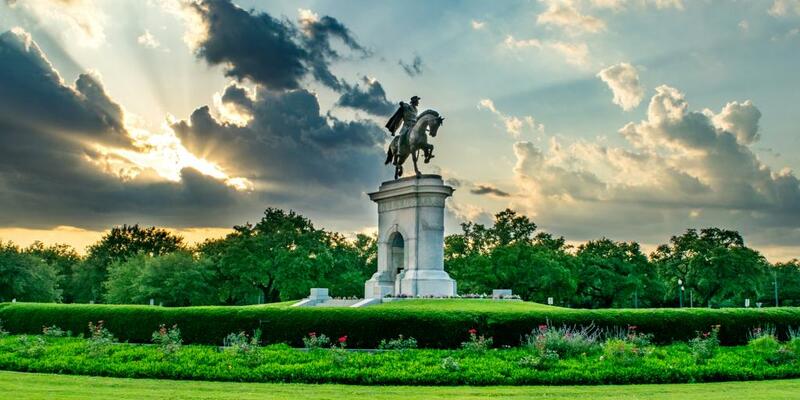 Be sure to stroll through a portion of the downtown underground tunnels (a network of climate-controlled walkways connecting hotels, banks, shops and government offices), take a look at the octagonal Rothko Chapel, and snap a photo of the statue of Sam Houston (an important leader of the Texan revolution) in Hermann Park at sunset. When you start to feel those hunger pangs, make your way to The Pass & Provisions for dinner (the best way to get there is to hop in your hire car as the restaurant has both self-parking and a complimentary valet service available). This two-in-one restaurant offers you a choice between a refined tasting menu served in the formal dining room of The Pass, or a more relaxed and informal experience at Provisions; it's up to you which you go for. At The Pass, expect an intricate five-course tasting menu ($65) of fresh seasonal ingredients which you can pair with the perfect drink to accompany each course ($110). The dishes are varied and exciting, and there's also the option to have a vegetarian version of the menu if you want to. Provisions is more of a hearty affair, with comforting bowls of pasta, indulgent pizzas, and rustic bistro plates served up in a more laid-back environment. The food is still pretty fancy (think squid ink pasta and duck confit pizza), but on less of a fine-dining level than The Pass. Enjoy your meal, have a cocktail or two (Provisions) or a glass of wine from their extensive list (The Pass), then head back to your hotel and relax. The drive from Houston to Dallas is another long stretch (around three and a half hours), so drag yourself out of bed for one more early morning to arrive with some sightseeing time before lunch. Spend what's left of the morning having a look around the Dallas Arts District. Said to be the largest arts district in the country, this area has loads of different arty sights to look at, so have a walk around and pick somewhere to go inside. We'd recommend opting for either (or both) the Dallas Museum of Art, which houses over 22,000 pieces from the third millennium BC to the present day, or the Nasher Sculpture Centre, which has one of the best collections of contemporary sculptures in the world. Admission to the Dallas Museum of Art is free, and costs $10 for the Nasher Sculpture Centre. After you've had your art fix, grab some lunch (both museums have really nice cafes), then swap artwork for history as you make your way to Dealey Plaza for the afternoon. 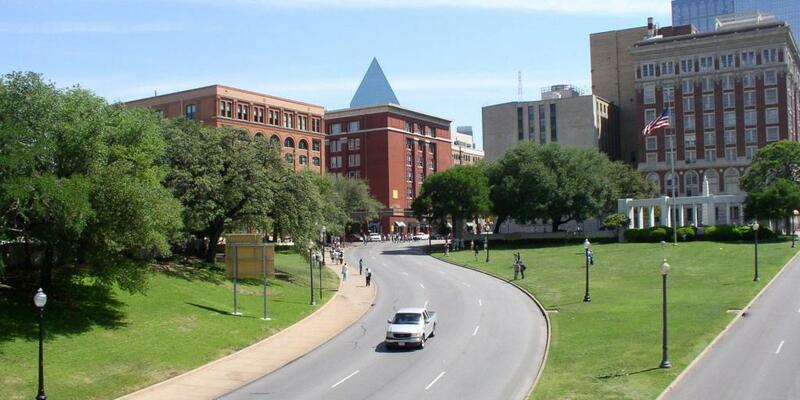 Although it may not be the cheeriest claim to fame, one of the things Dallas is most famous for is being the site of 35th U.S. President John F. Kennedy's assassination in 1963, and it's an important fragment of history to learn about during your visit. JFK was fatally shot in Dealey Plaza in Downtown Dallas while riding in an open top car with his wife and then-Texas Governor John Connally. There are a couple of different attractions to visit here related to his death. 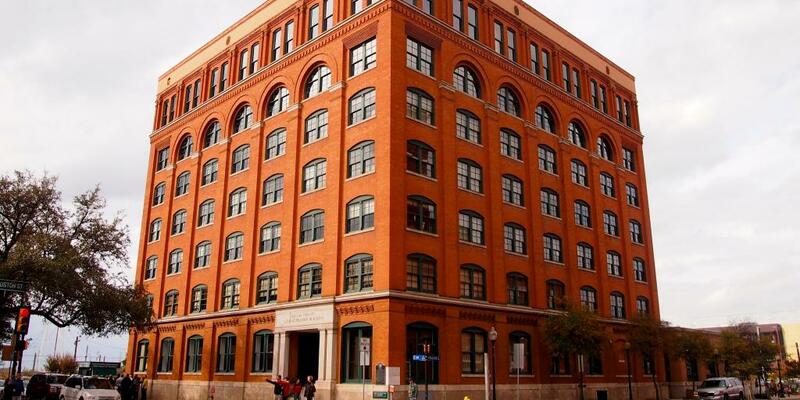 The first place to visit is the Sixth Floor Museum, located on the sixth floor of what used to be the Texas School Book Depository, in the very spot where Lee Harvey Oswald is thought to have fired the fatal shots. The museum examines the life, death, and legacy of the president through historic film clips (including the chilling Zapruder Film of the assassination), artefacts, photographs, and informative displays detailing the events and aftermath of the shooting. You can even stand in the exact place that Oswald is thought to have pulled the trigger. With all the conspiracy theories that surround JFK's death, this museum is a fascinating place to get to grips with the full story and speculate about what you think really happened to the President that day. Entry to the museum costs $18, and it's a good idea to book online in advance. Once you're clued-up on the facts, head to the John F. Kennedy Memorial Plaza to pay your respects - it's all too easy to get caught up in the theories of what happened and overlook the fact that these exhibitions are there to pay homage to the President's death, not just his story. The plaza is home to a simple concrete memorial designed by architect and Kennedy family friend Philip Johnson, which is intended to be an enclosed space of refuge away from the bustle of the city. Its design is a cenotaph, a kind of empty tomb, symbolising the freedom of JFK's spirit, and it's accompanied by some words inscribed into granite squares in the plaza (we'll leave you to discover this epitaph for yourself). 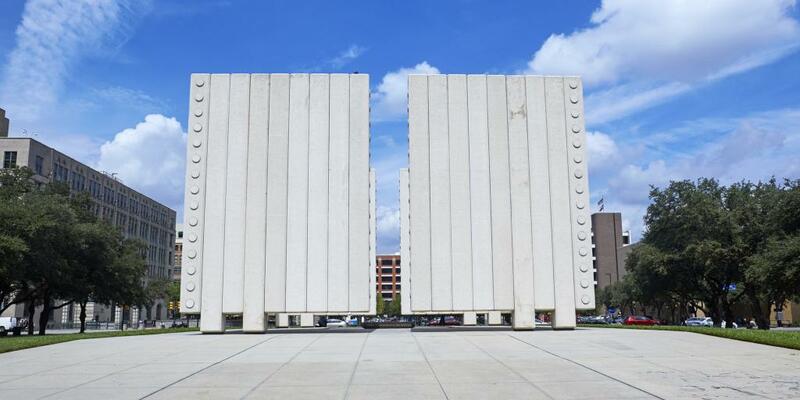 Take your time visiting these monuments, then head to the nearby Commissary Cafe for coffee and cake before having a final wander around downtown Dallas. Travel tip: Go and visit the Giant Eyeball and the Cattle Drive sculptures in Pioneer Plaza - they're pretty epic sights that'll lift your mood after that sombre afternoon. 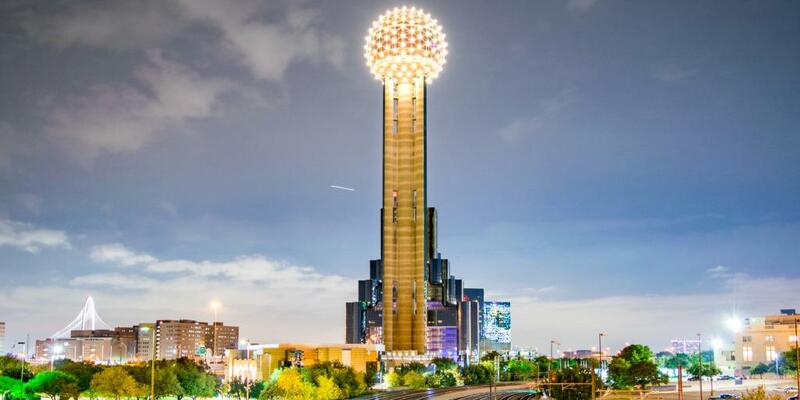 After relaxing at your hotel for a bit, head to the Reunion Tower for dinner. This futuristic building is topped with a distinctive glowing ball that offers incredible 360-degree views of the city. Reserve a table at Five Sixty, a restaurant located right at the top of the tower, where they serve up contemporary Asian dishes and a great selection of exotic beers and sake to accompany your meal. Aside from the food, one of the best bits about this restaurant is that the whole dining room rotates as you eat, meaning that you really do get to enjoy 360-degree views without even leaving your seat - a dreamy way to celebrate your Texas road trip so far. Have a long and slow dinner so you get to soak up the views for as long as possible, then make your way back to your hotel and call it a night. Have a slow start to day 6 - your itinerary has been super busy so far, so you definitely deserve a lie in! When you're ready, head to All Good Cafe in the Deep Ellum neighbourhood for a hearty brunch. The menu here has everything from fluffy buttermilk pancakes to classic fried breakfasts, Mexican huevos rancheros, breakfast tacos, and Texas omelettes. If you're feeling particularly ravenous, go for their 'world's best' chicken-fried steak and eggs - definitely their signature dish that's sure to fill you with energy for the rest of the day. 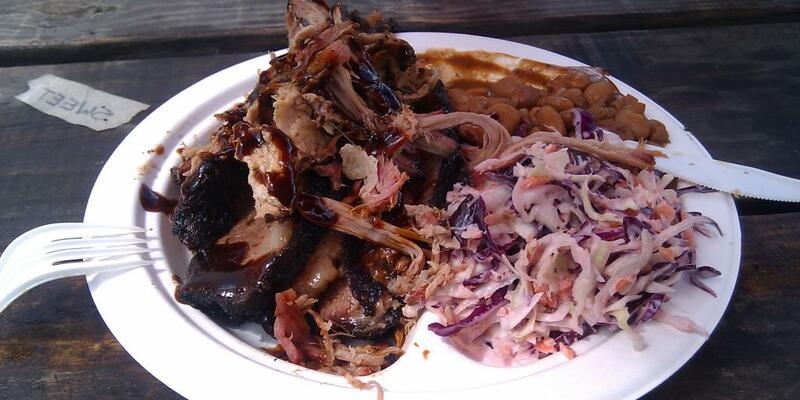 Once you've eaten, make your way back to the car and hit the road for Fort Worth. This modern-yet-traditional city is located only 32 miles outside of Dallas along route 30, so it shouldn't take you more than around 40 minutes to get there. Travel tip: Once you get to Fort Worth, we'd recommend you drive between sights rather than walking; the places on your itinerary are a little far apart and there's loads of parking available at each. There's no better place to continue your Texas art education than at the Kimbell Art Museum, so park up and head straight there once you've arrived in Fort Worth. This world-class art museum houses an incredible permanent collection that features pieces by some of the most famous artists in history, including Matisse, Picasso, Rembrandt and Goya, that make it one of the best collections in the country. 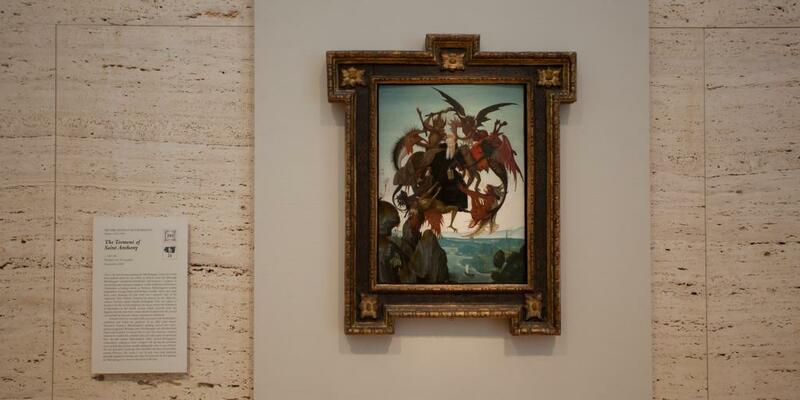 One really special masterpiece to look out for is The Torment of Saint Anthony by Michelangelo. The first known painting by this iconic Italian artist, it's believed to have been painted when he was just 12 or 13 before he found his niche as a sculptor. Definitely seek out this little painting as you walk around. The building itself, designed by renowned architect Louis Kahn, is also a work of art. Its vaulted ceilings are embedded with skylights that allow natural light to filter into the modern building and illuminate the art; the effect is pretty special. Admission to the permanent collection is free, however there's a fee to enter some of the exhibitions, so check online ahead of your visit for what's on and how much it will cost. There is also free parking on site, so don't worry about finding a spot to leave the car. 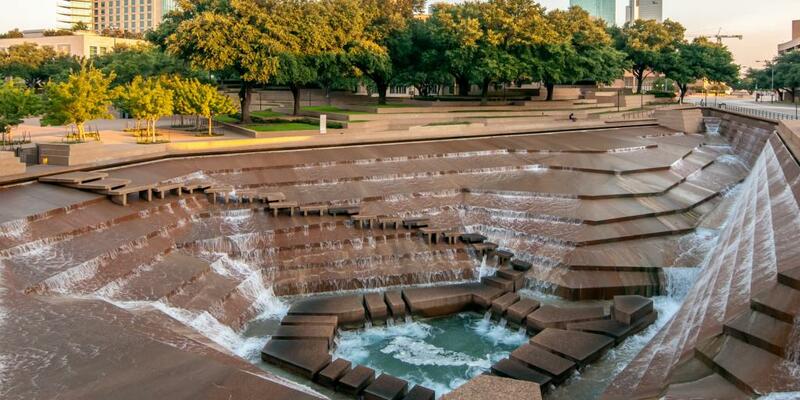 When you're done at the museum, hop back in the car and drive a few minutes east to the Fort Worth Water Gardens, another of this city's must-see sights. This tranquil urban park is tucked away in bustling downtown Fort Worth and offers visitors a welcome respite from the busy streets. The gardens are architecturally impressive as well as pleasantly soothing, made up of modern pools, cascading waterfall-style fountains, and tree-lined plazas to explore. The Active Pool is, however, the undisputed star of the show here. It features water cascading 38 feet down ledges and steps into a pool at the bottom, and it's possible to walk down amid the water to experience its sounds and motion. If you're fit to walk down the steps then definitely do - it's a really memorable experience! 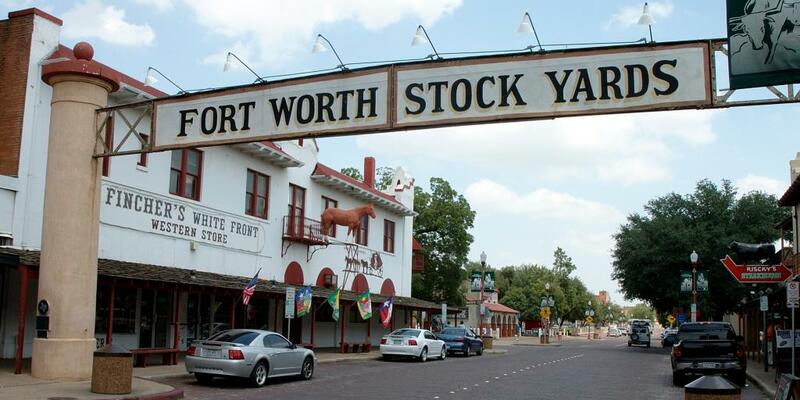 Your final stop in Fort Worth is the Stockyards, a little further north of the Water Gardens. This historic cattle district is steeped in cowboy history, making for quite the contrast from the modern downtown you've explored so far. Made up of low-rise buildings, cowboy stores, honky-tonk bars and rodeos, you can't get much more Wild West than the Stockyards. Have a wander around at your own pace, taking in all the cowboy action and dipping into the shops for some souvenirs if you fancy it. We're leaving your Stockyards itinerary up to you with just one piece of advice: make sure you arrive in time for the 4pm cattle drive. 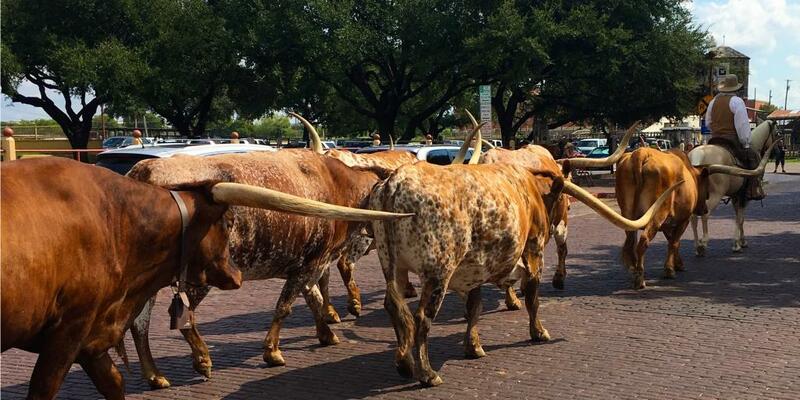 This twice-daily herd of longhorn cattle is a tradition here that sees real Texas cowhands directing the animals down Exchange Avenue. Every aspect of the display, from the type of cattle down to the traditional dress of the cowhands, is historically accurate, bringing the Old West to life in this modern city. If you're worried about the ethical implications of going to a rodeo, the cattle drive is a great alternative. Owing to the fact that you've just spent the afternoon at the Stockyards and it's your last night in Texas, it seems only fitting to spend the evening at one of the world's biggest honky-tonk bars, Billy Bob's Texas. This huge 100,000-square-foot country and western nightclub in the Stockyards contains everything cowboy-themed you can think of, including an indoor rodeo arena, dozens of bars, live country music, and an enormous dance floor. Check ahead on their website to see if anyone is performing the night you're there, and get ready to two-step the night away to celebrate the last night of your ultimate Texas road trip. Day 7 is the final day of your Texas itinerary, and what you do today depends entirely on what time you have to be at the airport to head home. 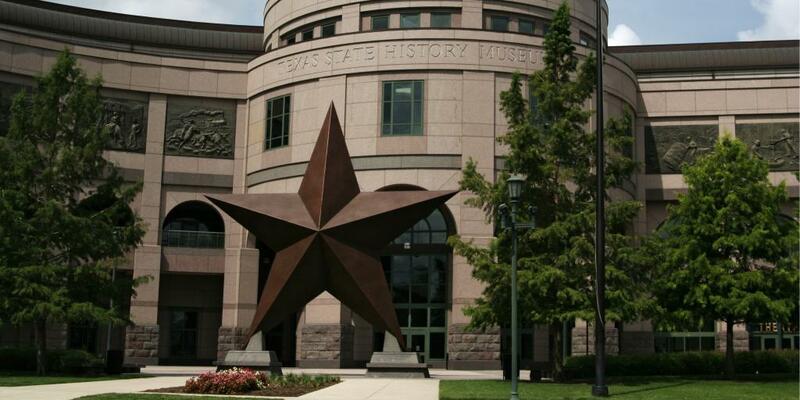 Bullock Texas State History Museum - For a final history fix, head to the Bullock Texas State History Museum. 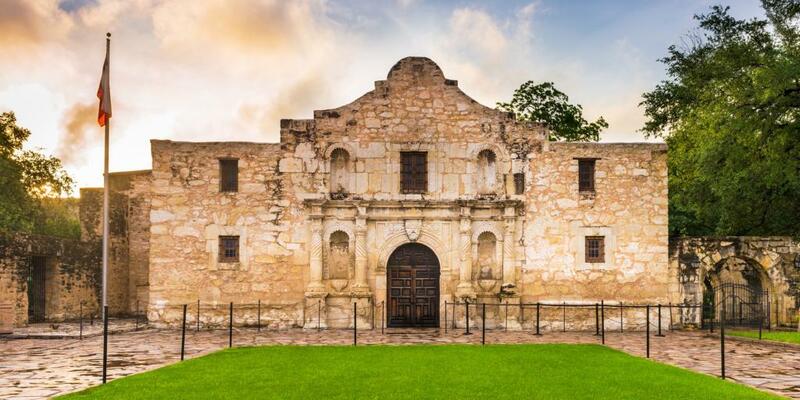 Detailing over four centuries of Texan history, this is the perfect place to polish your knowledge of the Lone Star State before you head home. There's loads of great artefacts and exhibits to explore, particularly the impressive renovated shipwreck. Admission costs $12. Franklin Barbecue - If you'd rather dedicate your final hours in Texas to your taste buds, then standing in line to sample the legendary brisket from Franklin Barbecue, which has been given the thumbs up by former President Barack Obama, is the activity for you. Get in the queue as early as you can as they close up shop when the food runs out at around 3pm, and leave Texas with a belly full of the best food in town. 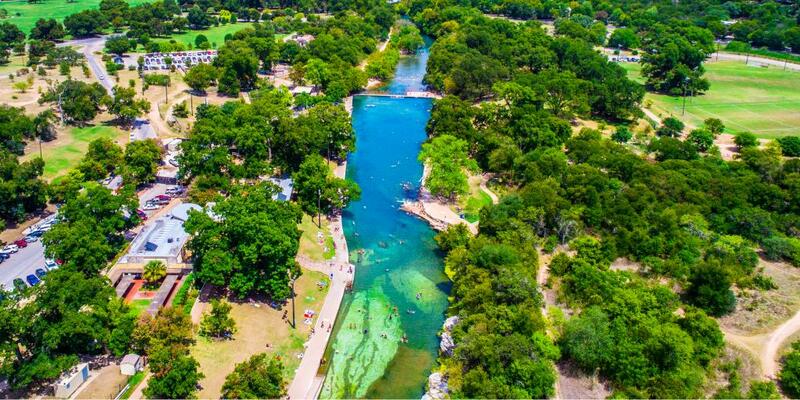 Zilker Park - If you'd rather just relax before jetting home, then a trip to Zilker Park should be on the cards. This large green space is perfect for a leisurely walk, a picnic, or some relaxed sunbathing before you have to head to the airport, making it a great place to unwind. 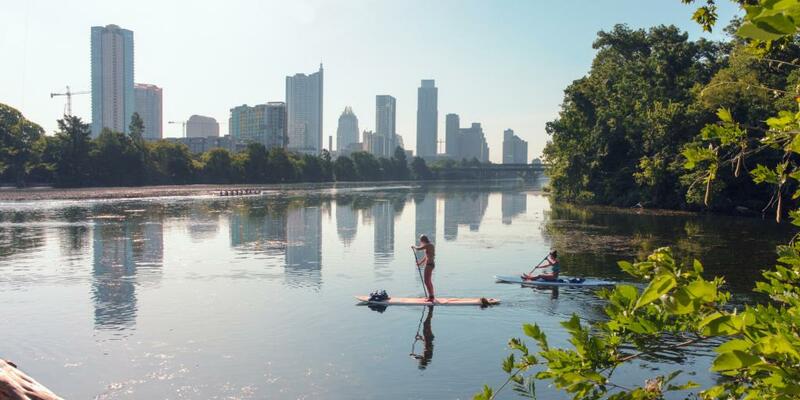 If you decide that you want a little more excitement than that, Lady Bird lake is the ideal place for some kayaking or stand up paddle boarding in the warmer months. 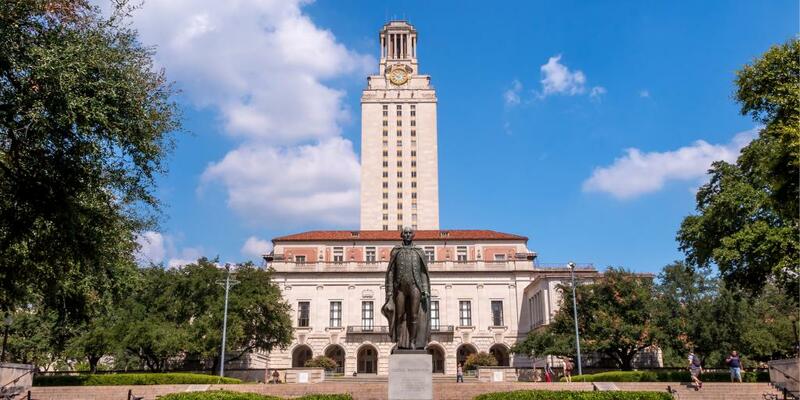 University of Texas Tower - Another option is to get up high and bid farewell to Austin from the University of Texas Tower. The 45-minute tours of the tower end up at the observation deck, which offers views across the whole city. It's a wonderful way to round out your trip. Tickets cost $6 and should be bought in advance, and note that the tower closes during winter. Finish up your activity, say goodbye to Austin and head to the car to drive to the airport - we hope ya'll had a great time in Texas!